Appelsap festival completes line-up. 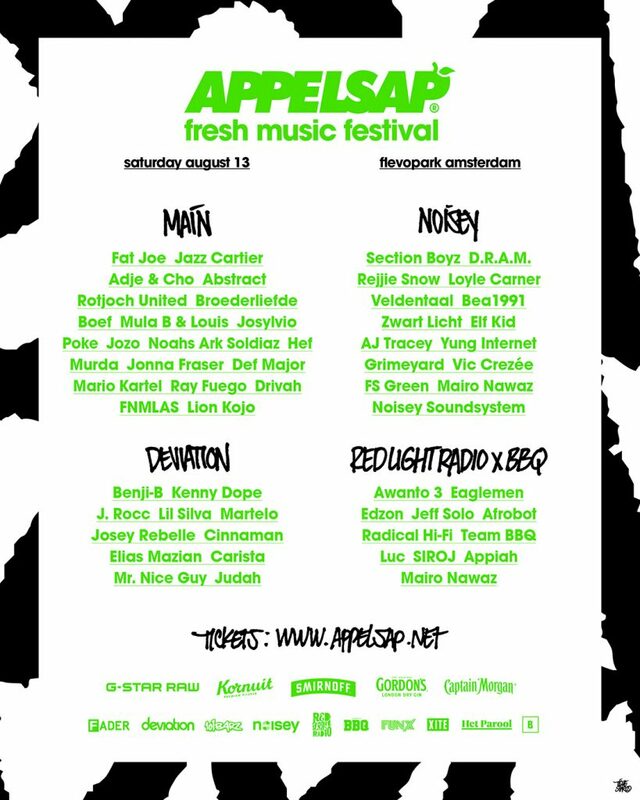 Kenny Dope (US), Loyle Carner (UK), Rejjie Snow (IE), Awanto 3, Edzon, Elias Mazian, Abstract, Grimeyard, Jeff Solo, Eaglemen, Mario Kartel, Drivah en FNMLAS are some of the names that finish the line-up for Appelsap Fresh Music Festival on Saturday 13th of August. 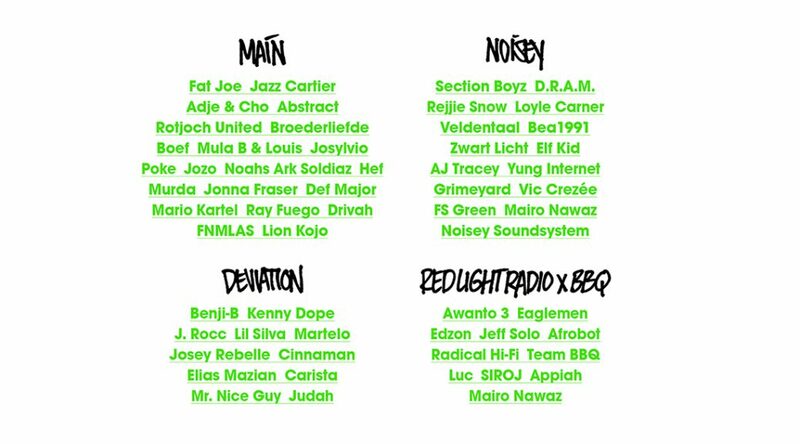 Before names like Fat Joe, Jazz Cartier, Section Boyz, Benji-B, Yung Internet, Adje & Cho, Broederliefde, Noah’s Ark Soldiaz and D.R.A.M. were announced. Appelsap festival takes place on the 13th of August at Flevopark in Amsterdam. There will be four different stages: Appelsap Stage, Noisey Stage, Deviation Stage and Red Light Radio x BBQ stage. Take your kids because they have activities for them while you listen to good music and enjoy food from all over the world. On the 29th of July Boiler Room and Appelsap get together for the first Dutch Hiphop Boiler Room sessie. 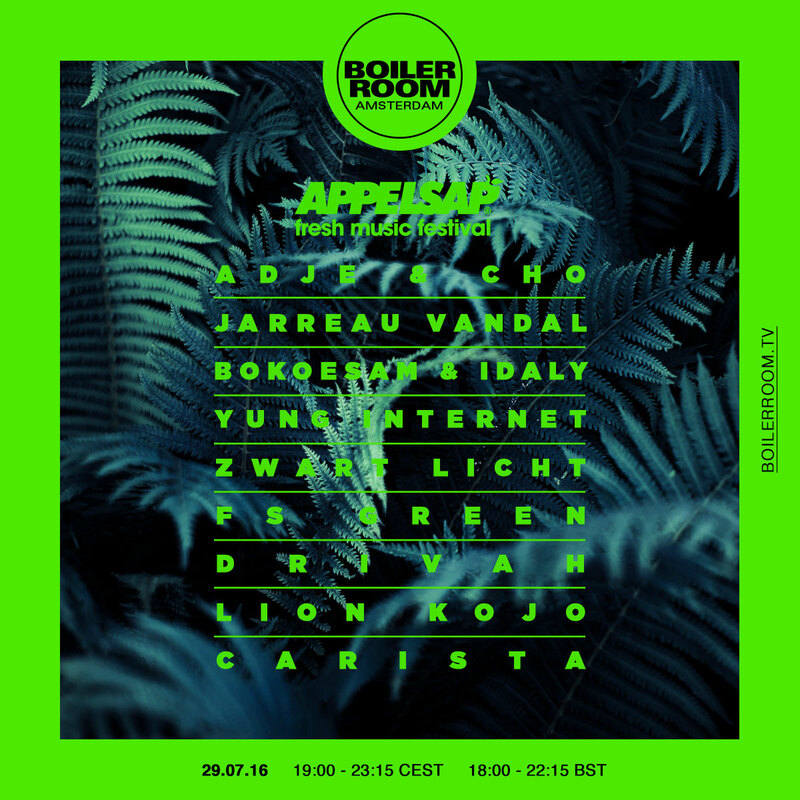 From 7 PM till 11 PM cest acts like Adje & Cho, Jarreau Vandal, Bokoesam & Idaly, Yung Internet, Zwart Licht, FS Green are performing live at https://boilerroom.tv/. In collaboration with Noah’s Ark the video for the song ‘De Jeugd’ from Def Major dropped. On the by Jack $hirak produced track Def works together with a selection of young rap stars from The Netherlands : Bokoesam, SBMG and Jonna Fraser. De track is the first on from the up and coming ‘De Jeugd EP’, that will release on the 5th of August. Rotjoch United: Broederliefde, Mula B & Louis, Poke, Jozo, Josylvio, Boef. Underneath you will find the official anthem for Appelsap Festival 2016 and the line-up for each stage and the Boilerroom session.